remember the bison at South Park? I had one charge the fence when I was taunting it. Actually, strangely, I don’t remember bison in South Park. That’s weird; could I have never seen them? I didn’t spend much time in South Park, but you’d think I’d know about bison. We’ve seen more and I have a few more good photos. 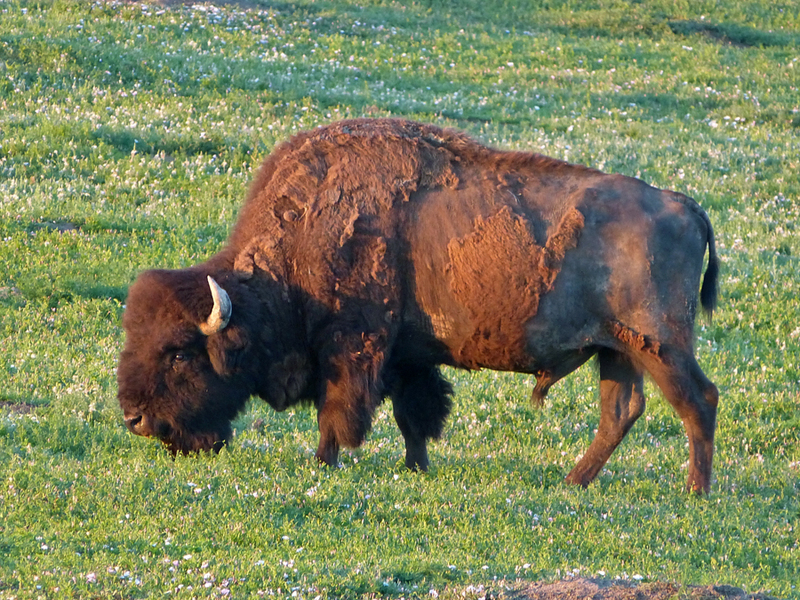 We headed to South Dakota, maybe Custer State Park that has a 1500 head herd. Very impressive. I love it’s beautiful head!